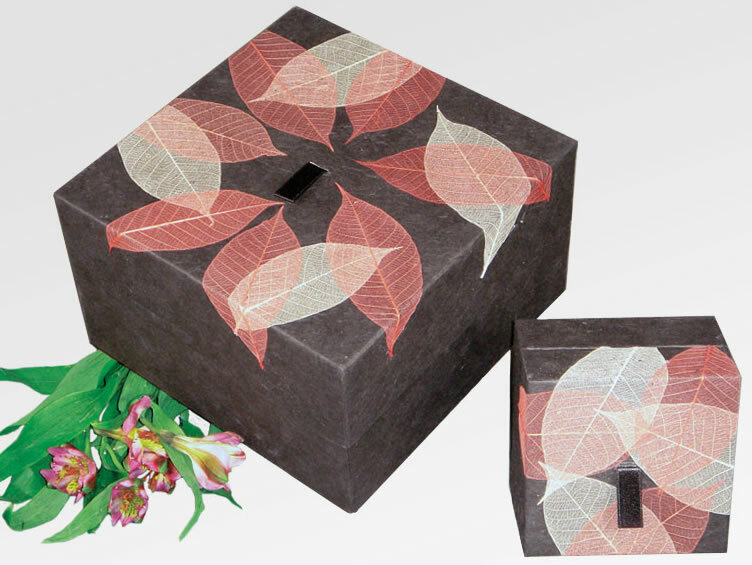 This beautiful Embrace Autumn Leaves Biodegradable Urn is sustainably made from elegant black handmade paper. Beautiful skeletal leaves are imbedded into the lid. Click on Detailed Images for a close-up view. The urn is suitable for earth burial, storage, or ceremonial use. This urn will last for decades as long as it is kept inside in a dry environment.